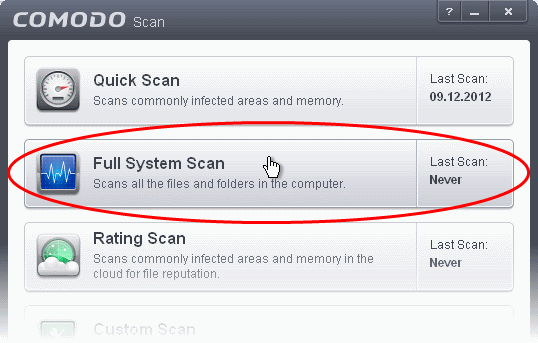 The 'Full System Scan' scans every local drive, folder and file on your system. Any external devices like USB drives, digital camera and so on are also scanned. You can customize the items scanned during a 'Full System Scan' and set-up a scan schedule from the 'Advanced Tasks' interface. 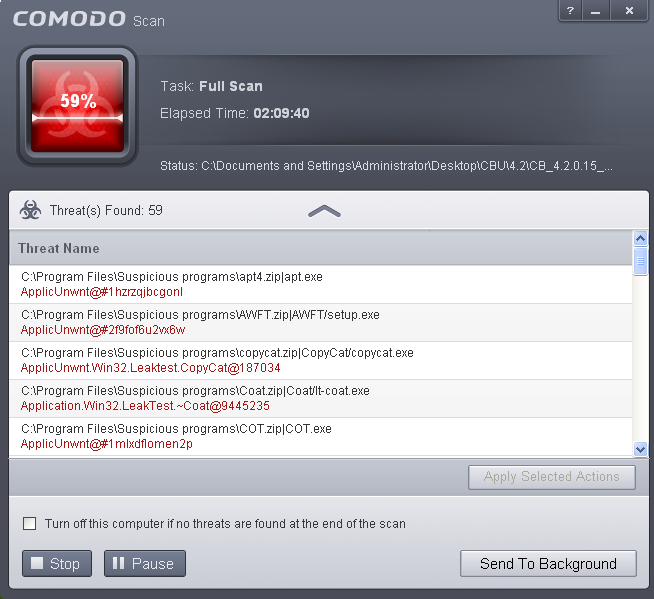 Refer to Antivirus Settings > Scan Profiles for more details. Click 'Scan' from the General Tasks interface and click 'Full System Scan' from the 'Scan' interface. 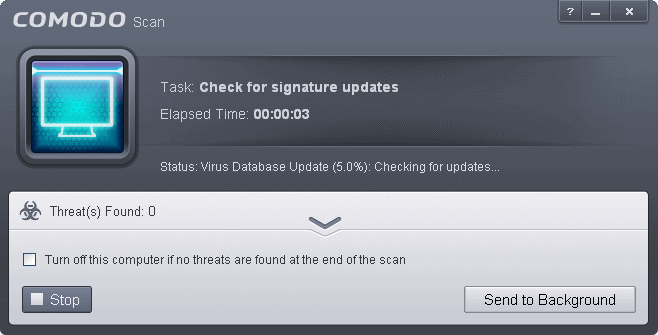 The scanner will start and first check whether your virus signature database is up-to-date. If the database is outdated, CIS will first download and install the latest database before commencing the virus scan. 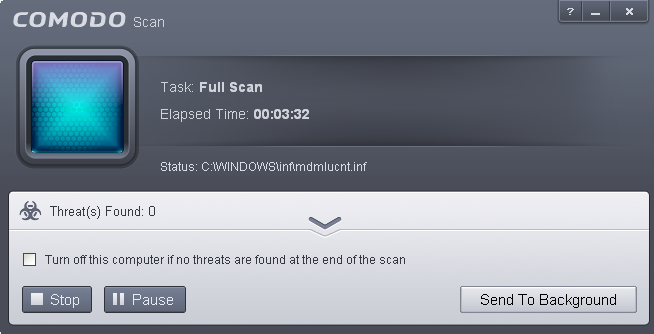 You can Pause, Resume or Stop the scan by clicking the respective buttons. 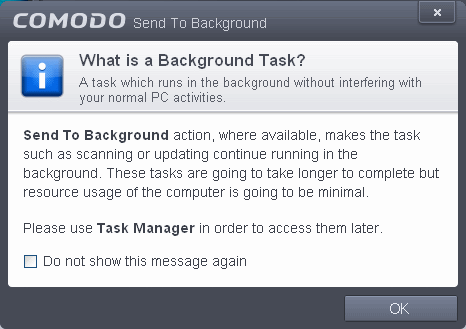 If you want to run the scan in the background, click 'Send to Background'. You can still view scan progress by clicking 'Task Manager' on the home screen. 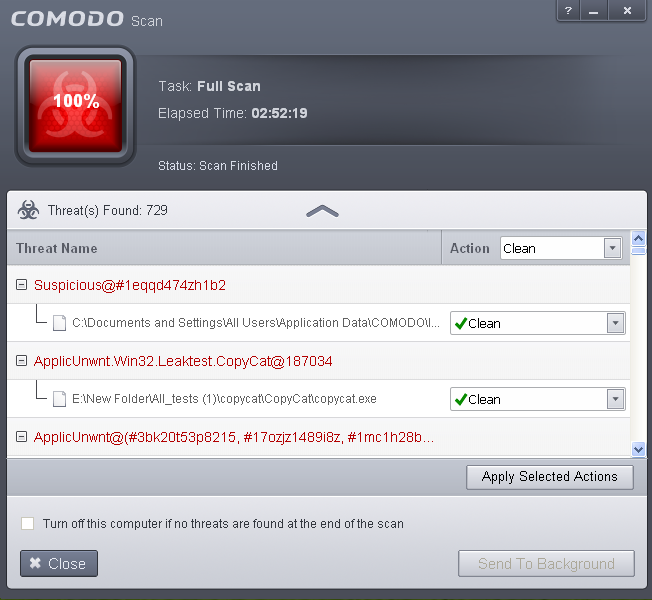 The scan results window displays the number of objects scanned and the number of threats (Viruses, Rootkits, Malware and so on). You can choose to clean, move to quarantine or ignore the threat based in your assessment. 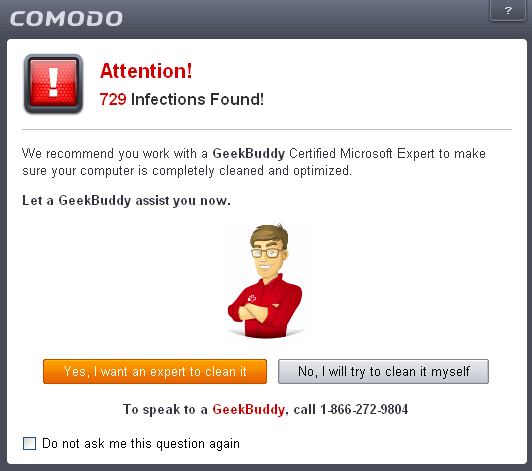 Refer to Processing the infected files for more details.